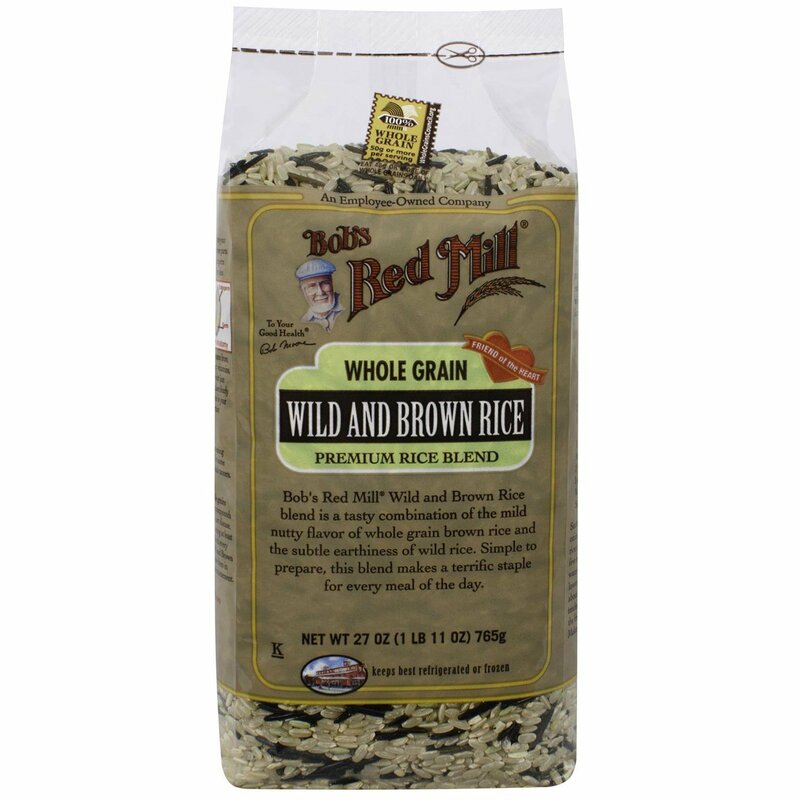 Bob's Red Mill Wild Rice and Brown Rice blend is a tasty combination of the mild nutty flavor of whole grain brown rice and the subtle earthiness of wild rice. 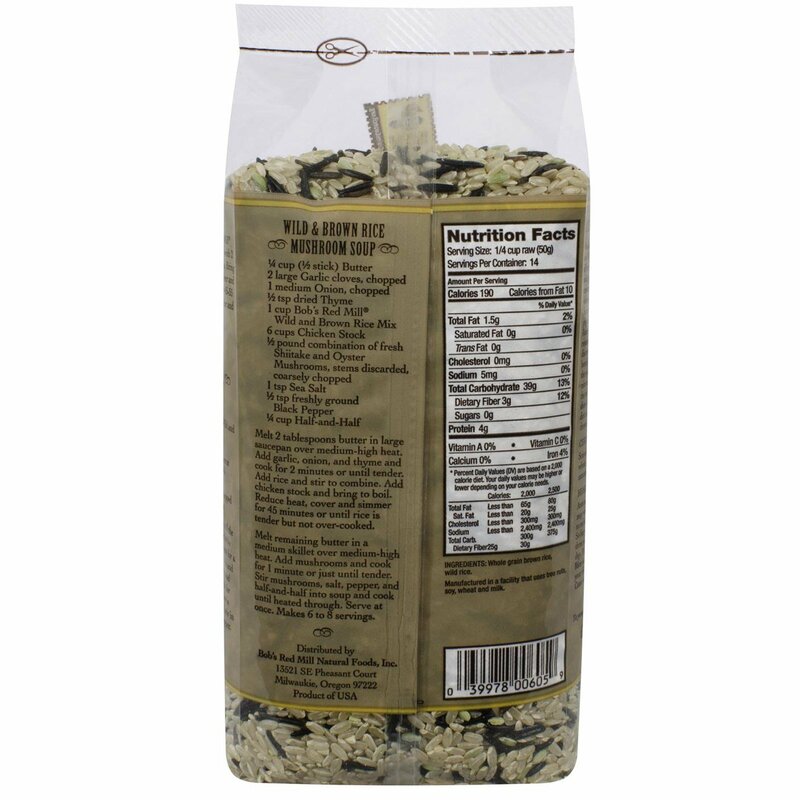 Simple to prepare, this blend makes a terrific staple for every meal of the day. Combine 1 cup Bob's Red Mill Wild Rice and Brown Rice with 2 ½ cups water in a sauce pan. Bring to a boil over high heat. Cover and reduce heat to a simmer for 45-55 minutes, or until rice is tender and liquid is absorbed.